A tender love story rich with the authentic flavor of the old West. It is a story of determination and love. From the days when the strong ventured across the plains and when even the strong seemed weak after the Indians and elements had taken their toll. This is a drama of wagon trains and the beliefs that pushed them westward. Convent bred Mary Conroy had an unshaken love for Armen Neff. The fact that he was a "nobody" did not bother her a bit. 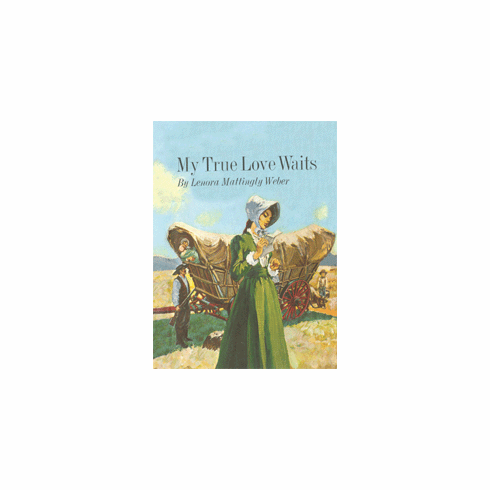 When Armen left to seek his fortune in Colorado Territory, Mary stayed home to await the birth of her baby. But the "Best People" of Topley who were so important to her Aunt Luce were hostile. Mary, miserable in her loneliness, made her decision - she would take the perilous journey to Denver City and join her husband. This dramatic story is considered a stand out favorite by many Lenora Mattingly Weber readers.